Nord Gold, the Russian mining company owned by Alexei Mordashov, has run into a grave new legal challenge to one of its most valuable gold-mining operations in the West African Republic of Guinea. The bad news comes after the unexplained failure of Mordashov’s company to confirm that it has been approved by the UK Financial Services Authority (FSA) to sell its shares on the London Stock Exchange. SMD stands for Crew Gold’s Guinean company, Societe Miniere de Dinguiraye. The Dinguiraye concession, according to Crew Gold’s website, includes two open-pit mines and more than 1,600 square kilometres of territory. According to Crew Gold, the underground gold it has the right to mine amounts to 5.2 million ounces. Mordashov’s promotion of his Nord Gold to potential investors and share-buyers claims these Guinean gold resources represent half of Nord Gold’s African total, and about one-quarter of its African, Russian and Kazakh aggregate. 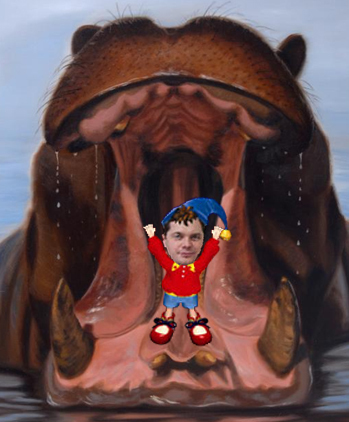 If the Guinean Government swallows, there will be much less of Mordashov’s gold company to sell. The Guinean Mining Code was revised in 1995. Article 62, said Thiam, legislates that “no transfer of control of a Guinean mining permit can take place without prior notification and approval of the Government of Guinea”. Sergei Loktionov, spokesman for Nord Gold and the Severatal group’s mining operations, declines to say if there has been any contact between the Russians and the Guinean Government since Mordashov bought control of Crew Gold. Asked if the Russian management is aware of the legal compliance problem and the revocation threat, Loktionov did not respond. Minister Thiam told Minesite these claims and Piscedda’s lawsuit have nothing to do with the government’s investigation of the potential code violations. Thiam added that he was not aware that Nord Gold had run into regulatory delays in the UK. He explained that he and his ministry have been in negotiations all year with Crew Gold’s current chief executive, William LeClair, over the failure of the company’s former Norwegian owners to meet their original obligations to the Guinean government. The problem has been that in 2006 Crew Gold had bought the Guinean state’s 15% shareholding in SMD, but hadn’t paid for it. Valuation of the transaction was too low, Thiam said, and Crew Gold subsequently failed to transfer its shares as part of the deal. “The Guinean government position is that there was under-pricing of the deal, and there is a substantial bloc of shares still owed.” The full story has been reported here. Crew Gold has so far failed to let shareholders know what has been in negotiation. Thiam and LeClair and the lawyers for the two sides have approached a compromise agreement, in which Crew Gold would make a cash payment to the government in Conakry, and the mining ministry would issue additional exploration and mining licences sought by the company. How much cash, and which licences, have been points in dispute. In parallel with these negotiations, Thiam said the government has been “in the process of reviewing Crew’s situation in Guinea before entering into negotiations for the second tranche of the Government of Guinea’s stake in SMD. The negotiations with LeClair were exclusively with regard to the SMD shareholding issues. The [Russian] takeover was announced as the negotiations had ended and a partial agreement reached. In such situations, we assume that the companies followed the code and did notify the Government of Guinea”. The ministry lawyers discovered recently that there had been no notification. Thiam has been the mining minister since January of 2009, and has pledged to retire and return to his US home when the new government is formed. This awaits the official result of the second round of the Guinean presidential election, which was held last Sunday. Former Prime Minister Cellou Diallo, who was ahead in the first round of voting, ran against an opposition figure, Alpha Conde. Confirmation of the results has been delayed while challenges to the balloting and vote count are considered by the national electoral commission. Both Diallo and Conde have endorsed the performance and policy positions of Thiam, and he remains with his ministerial authority intact until the portfolio is awarded by the president. International studies of compliance by international mining companies with Guinea’s mining, tax, and customs codes have found that despite the rising production of bauxite, gold and other mines in the country, and the growth of their export value, the revenues earned by the government from the mining companies has been falling in real terms. Attempts by Thiam’s predecessors to enforce the mining code and stop tax evasion were frustrated by the 25-year dictator of the country, Lansana Conte. His death in December 2008 paved the way for Thiam’s reforms. 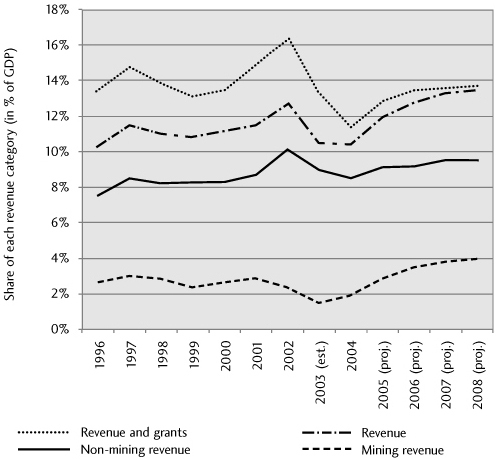 “The declining contribution of the sector to state revenue up to 2004 has to be set against the stable and even increasing value of exports from mining from 1997.Further, and in a parallel fashion, up until 2004, no decrease in the level of production can be observed at the three most important Guinean mining enterprises, Compagnie des Bauxites de Guinée (CBG), Compagnie des Bauxites de Kindia (CBK) and Alumina Company of Guinea (ACG) (Friguia up until 2000). However, mining taxes and export taxes taken as a whole were clearly on the decline as of 1998”. Another of the Russian companies which faces revocation of its mining concessions in Guinea is United Company Rusal. Thiam has also charged Rusal with tax evasion and customs fraud for a total claim of almost $1 billion. Like Nord Gold, Rusal’s asset and share value depends on keeping its bauxite reserves and mining operations in Guinea. To get its way, Rusal has tried to remove its dispute with the government to a Paris arbitration tribunal. Thiam has identified Rusal as behind a campaign to push him out of his post, and win support from other Guinean officials.